Online presence is obligatory for people of many professions. Regardless of how experienced you are – whether you only break the ground or are an acknowledged authority in your profession – quality portfolio as well as Modern WordPress Portfolio Themes will help in developing, attracting clients and followers, and earning money. WordPress platform is dedicated, so that anyone could build his own website, blog or portfolio without involving programmers. Millions of websites worldwide have been created in this way and now successfully run. All you need to do is to get up courage, read valuable advices on how to create and support website, and make the best portfolio! It is simple! Modern WordPress Portfolio Themes is the latest collection that includes tailor-made, beautiful and fully-featured templates. Choose by your preference; surely, one of them will help you in creating an excellent portfolio! Pinecone is a new elegant WordPress template in minimalistic style. Your portfolio will be perfectly displayed on the screens of any type and dimensions. Website with beautiful portfolio, blog and contacts pages, customized widgets with social networks icons, Google maps, and Flick, Instagram and Twitter readiness will be ideal for a freelancer, agency or studio. You may have as many portfolios as you like, fill any page with pictures, give proper names, and set the colours and fonts. BARTON allows creating portfolio fast to show your works. This is a powerful WP template developed in pure, minimalistic style. Being easily customized and well-documented, BARTON is suitable for personal and professional use. 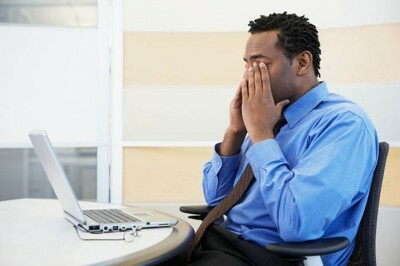 The template is coded in HTML5, CSS3 and JQuery. It features flexible, responsive layout, which is scalable from 320px up to 1260px. Being created exclusively for portfolio, this WordPress template is filled with an abundance of useful features, options and short codes. cvCard is an Ajax-based WordPress template with horizontal slider. The template is coded in HTML5, CSS3 and JQuery, features responsive design that provides optimization for showing of portfolio on any screen including mobile devices. Website allows operating a blog with support of posts of any format. Template is easily customized: four predefined styles, 50+ astonishing CSS3 effects for portfolio with animation, 30+ popular social icons, 600+ Google fonts. This template is SEO-optimized and translation-ready. Burst is a flexible WordPress template, using which you will create a striking portfolio without coding knowledge. You will appreciate full-screen slides with Parallax functionality, full-screen menu, and unlimited capabilities and settings. 80+ short codes, 600+ Google fonts, layouts for showing several portfolios, keeping several blogs with customized post formats, social side panel and many other features will help you in creating an excellent website. SEO, WPML, WooCommerce and ContactForm 7 plug-ins are integrated in the template. Speakers of different languages will be able to find and read your portfolio. If you wish, you may implement selling of your works online. Minimo is an extraordinary WordPress template. Its unique design and functionality will not leave you cold. If you wish to create a nice portfolio, then this template will do a perfect job. Using drag-and-drop page builder, website setup turns into an amusing game. 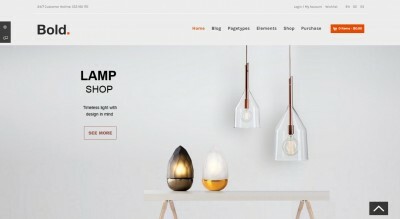 The template is plug-in-ready (WooCommerce, for instance) and widgets-ready. By using them, you will be able to open an online store webpage and translate its content to any language. 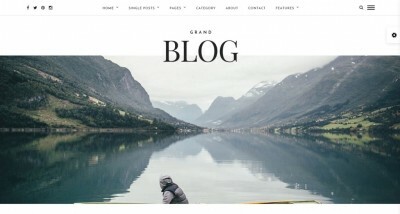 Sleek is a WordPress-based template for a creative blog or portfolio. AJAX navigation provides speed, animation and interactivity. Sleek features several layouts. Formats of blog posts are neatly developed to provide content diversity, showing it in one window or in lists. Pages of categories and tags feature customized headers, images and descriptions. Sleek is an intuitive template carefully designed using best coding practices. It is translation-ready, SEO-optimized and is delivered with complete documentation. Who doesn’t like taking photographs? If photography is your profession or hobby, you need to create your personal portfolio. Photography is a responsive WordPress theme for a pure and minimalistic WordPress-based website. This theme will allow you to establish a creative portfolio using latest WordPress technologies. Photography looks marvelous on any device, features predetermined style for a photographer, creative designer, design agency, which may be imported with a single click. Comprehensive functionality along with WP plug-ins support, including SuperCache, W3 TotalCache, Yoast SEO and others will ensure success for your portfolio. 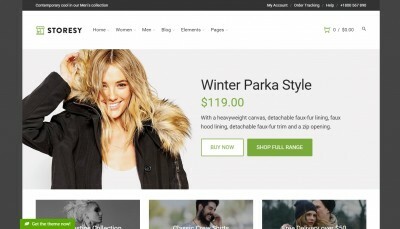 Ellipsis is a powerful, intelligent WordPress template for WooCommerce. 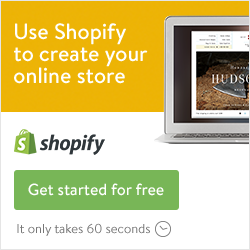 Create your own pure and outstanding online store based on your portfolio. Responsive design, SEO optimization, progressive meta boxes and advanced template options – this is all you need for people to see you in the higher positions in search engines, visit your website and buy something you want to sell. Quality documentation facilitates setup, while readiness for translation to any language broadens your audience. 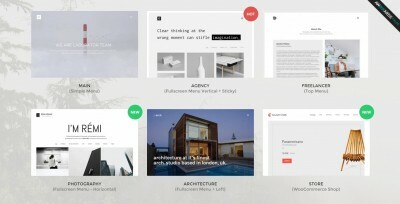 Lobo is a new portfolio conception for creative agencies and freelancers. Graphic designers, illustrators and photographers will be able to create portfolio to show their creative work. 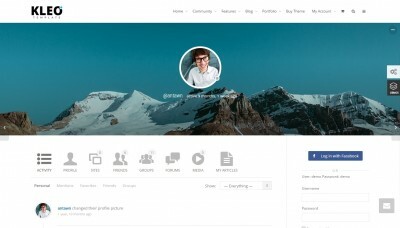 This is a completely responsive, Retina-ready template. With this template you may implement such features as parallax and sticky header. 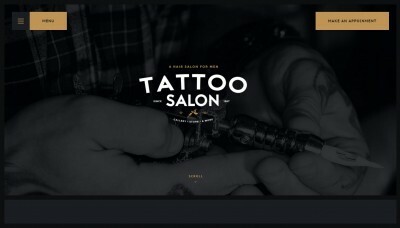 Two different menus with submenu will make your website unique. Look closely and you will love Lobo. BURAN is a WordPress-based theme for portfolio, which is oriented towards minimalism, elegance and simplicity. Using it you may be able to create portfolio, and win respect and love of your followers. 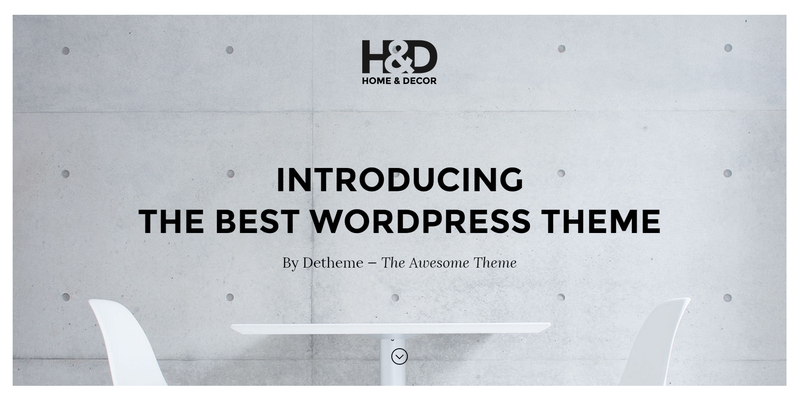 This powerful WP theme is developed in a pure, minimalistic style. It is very flexible, easily customized and well-documented. 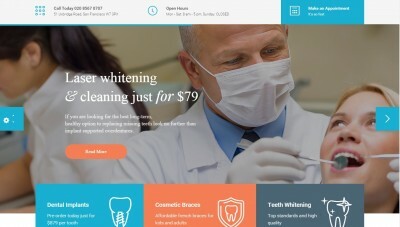 The theme is suited for personal or professional use. BURAN is coded in HTML5, CSS3 and JQuery. It features responsive layout, which is scaled from 320px up to 1260px. This theme comes with a lump of useful features, short codes and options. We hope that you liked this collection. You may find the other WordPress templates for portfolio HERE.